This is a step up from the simple wildflower patch﻿ described in the previous section. It won't suit every school due to space restrictions but many rural schools will have plenty of room for this spectacular feature while still leaving space for pitches, playing areas and other garden features. 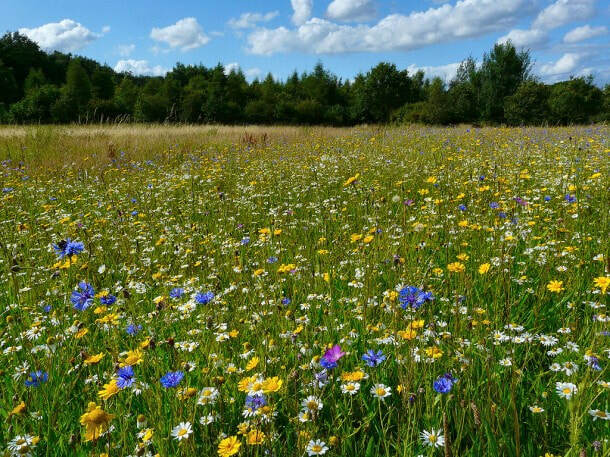 As with all the wildflower actions it will bring a fascinating range of flowers into the school, support visiting pollinating insects and of course stop wasting time through constant grass cutting! ​The National Biodiversity Data Centre have put together a great leaflet to take you through the process step-by-step ﻿﻿here﻿﻿.